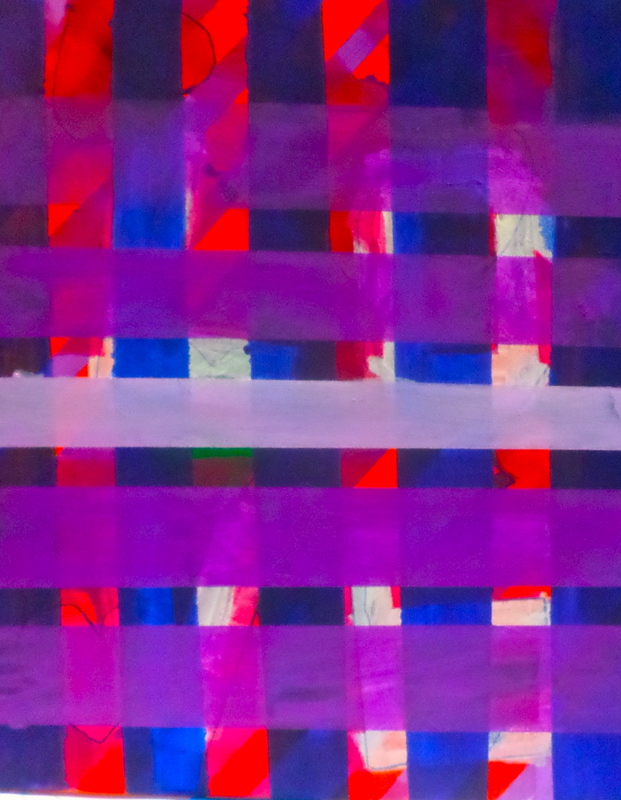 We invite you to examine the events of Advent and reconnect with the wonder that led to the first Christmas through a unique opportunity to discover Christ visually from the perspective of eight area artists. 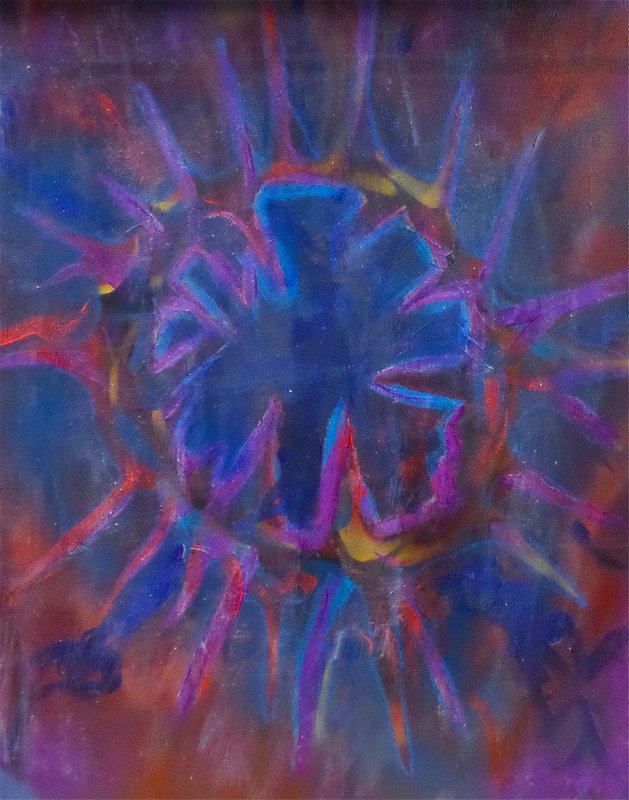 Opening reception Sunday, November 27, 2016 2:00 p.m. – 4:00 p.m.
Exhibition Hours: 5:00 – 7:00 p.m. 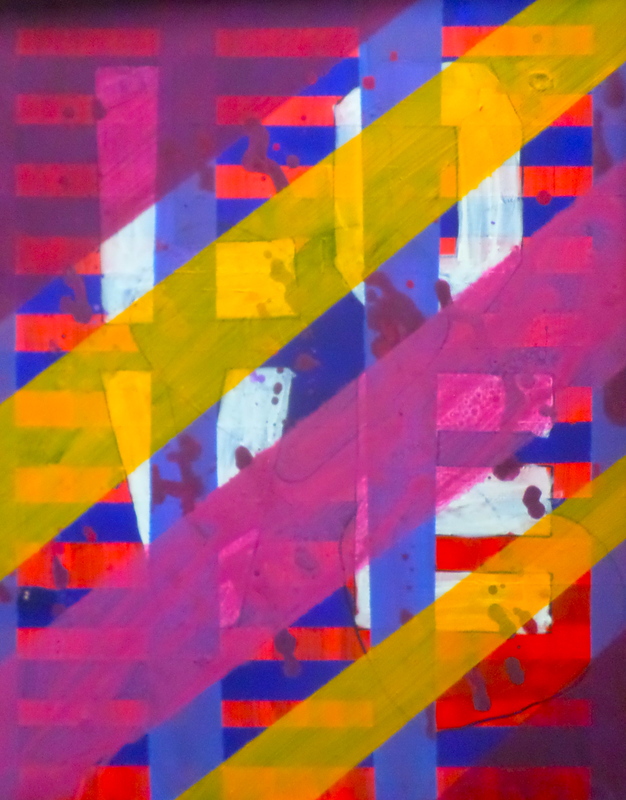 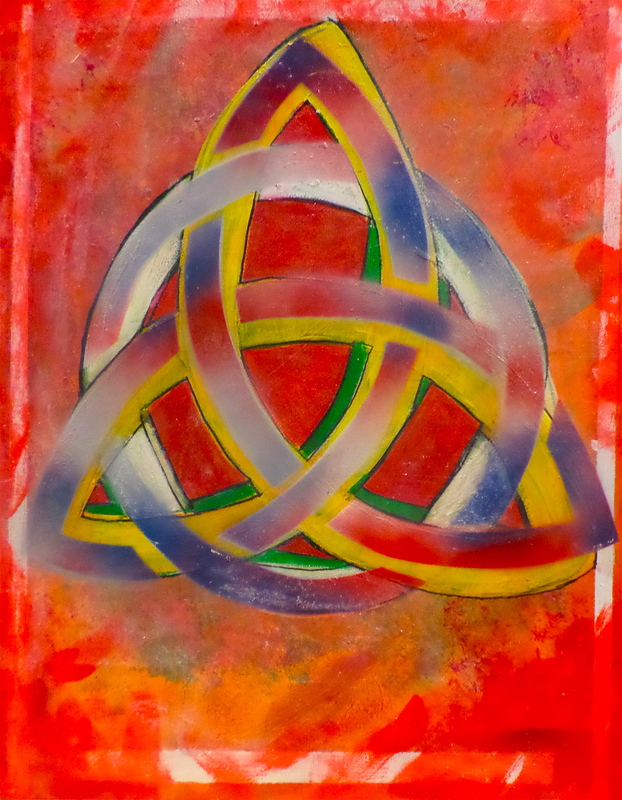 The Art Junction and New Haven United Methodist Church present an exhibit to examine the events of Advent and reconnect with the wonder that led to the first Christmas through a unique opportunity to discover Christ visually! 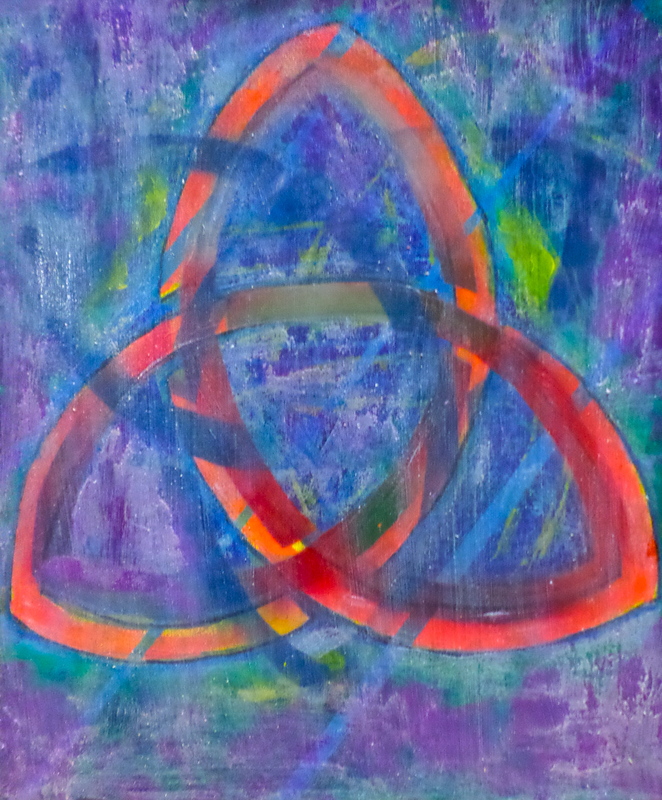 Coming, longing, anticipation and arrival of the Messiah, exploring the themes of prophecy, John the Baptist’s parents, supernatural visitation, personal reflection. 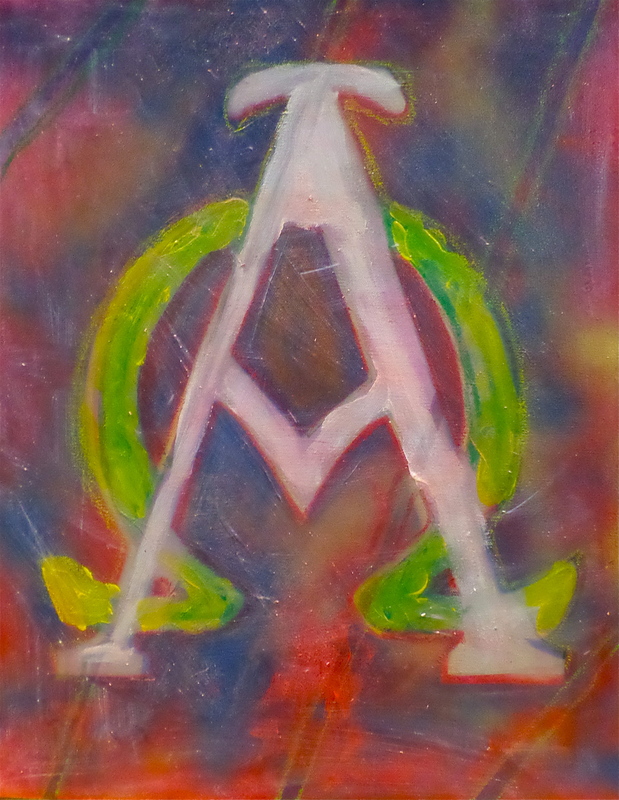 Annunciation of Mary, exploring the themes of Angels, prophecy, supernatural visitation and the Mother of Jesus, Joseph her husband to be. 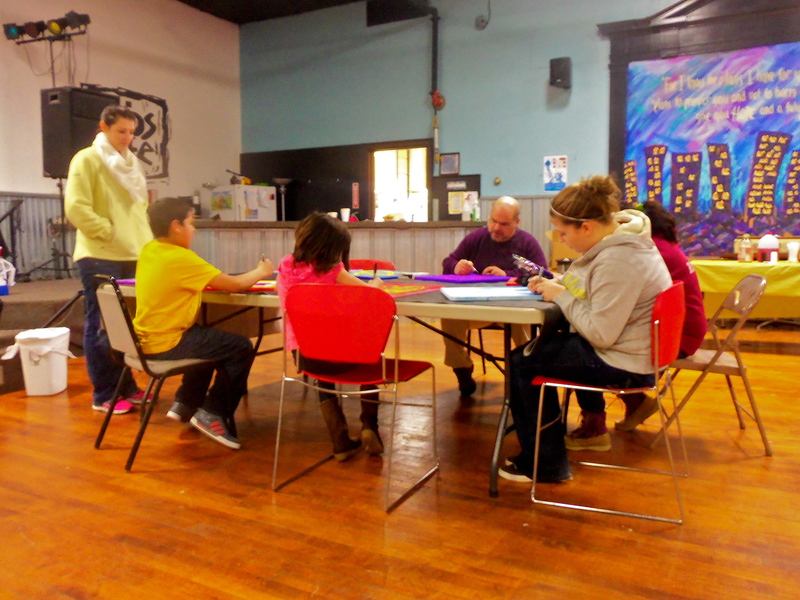 Town of Bethlehem, exploring the themes of Angels, prophesies, government, census, travel, and homelessness. 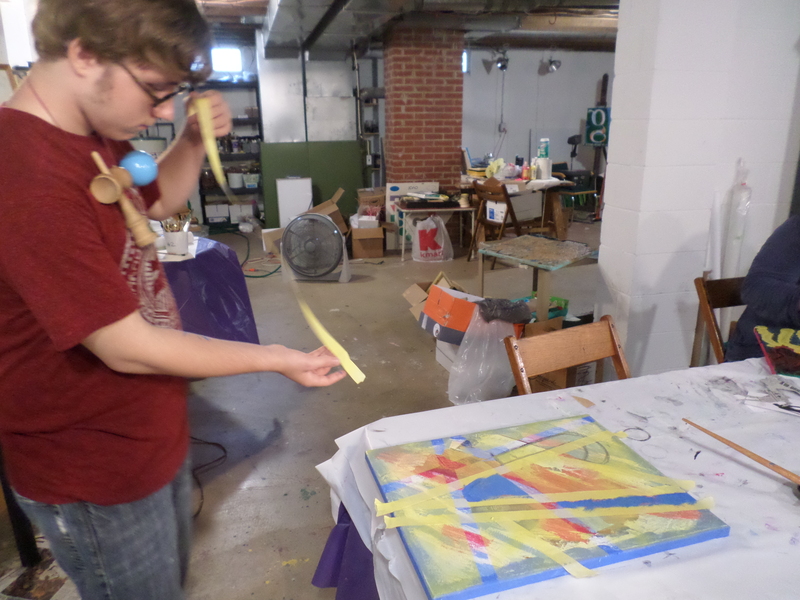 Each artist was given a 30 x 40” canvas to depict their event of advent in the medium and style of their choosing. 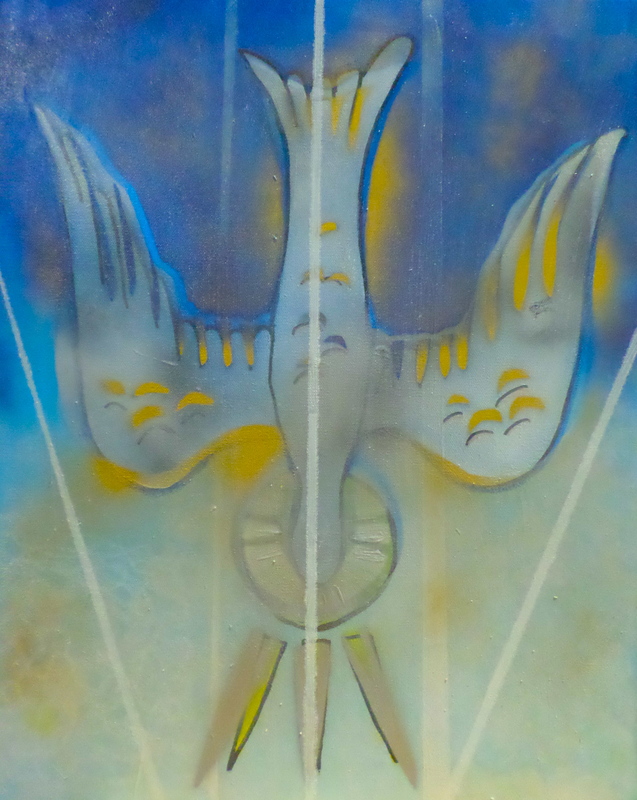 These paintings will be on display in the sanctuary of the church allowing the viewer to experience visually the advent of Jesus Christ in one venue. 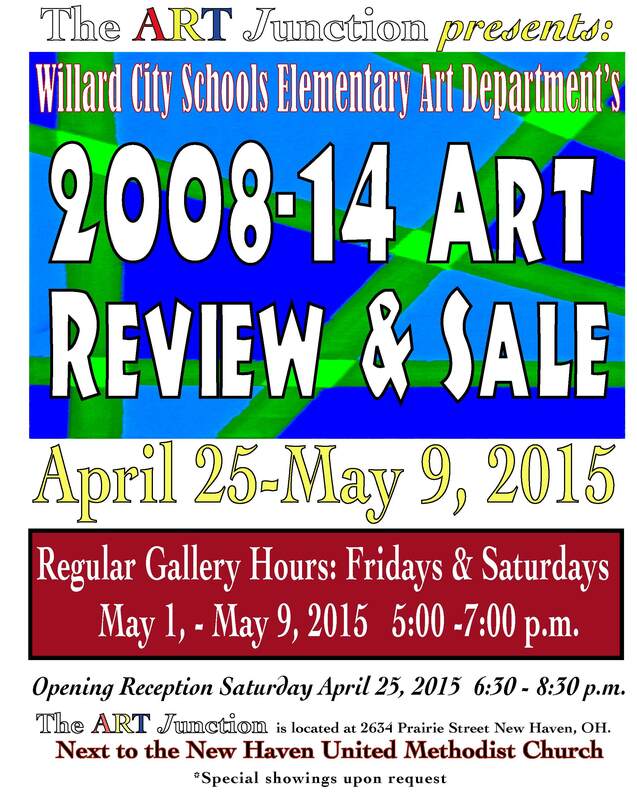 The eight artists participating in this event are: Matt Ramsey, artist from Norwalk; James Easter, artist from Toledo; Timothy Gorka, artist/wood carver from Lexington; Alec Casto, photographer & painter from Willard; Karen Coffey Wilson, artist from New Haven; Prescot Lillo, Willard High School Senior from Willard; David Wolff, artist/teacher from Collins; and Kevin Casto, artist/teacher, photographer from Willard. 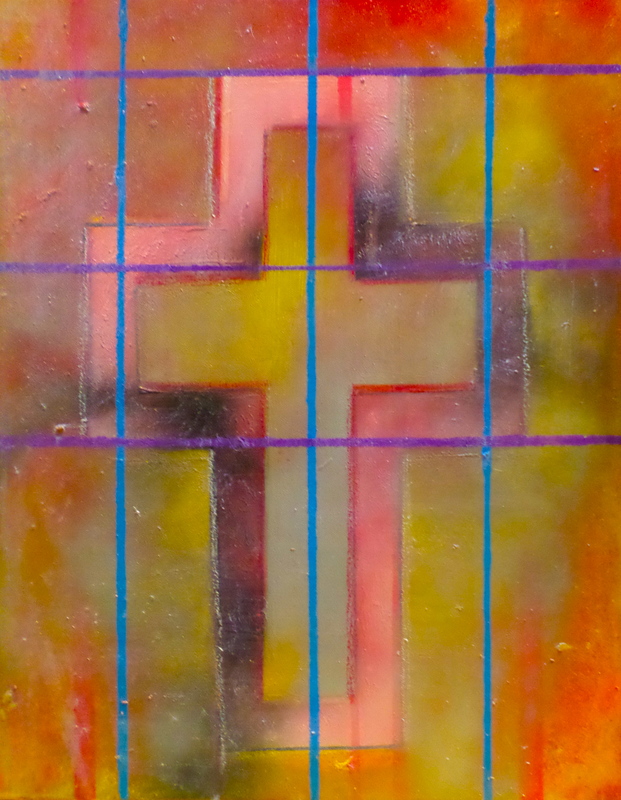 The Art Junction invites you to experience and celebrate the Advent of Christ through this unique visual opportunity for our community! 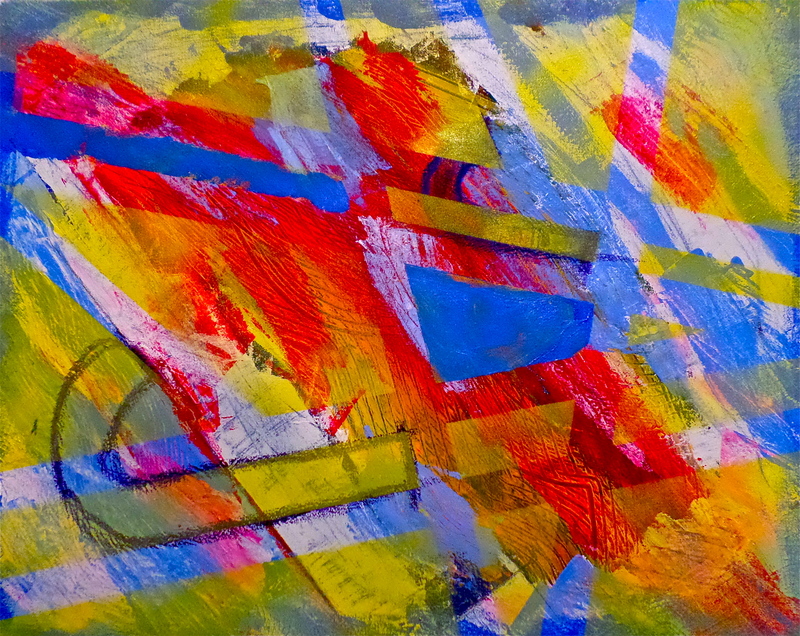 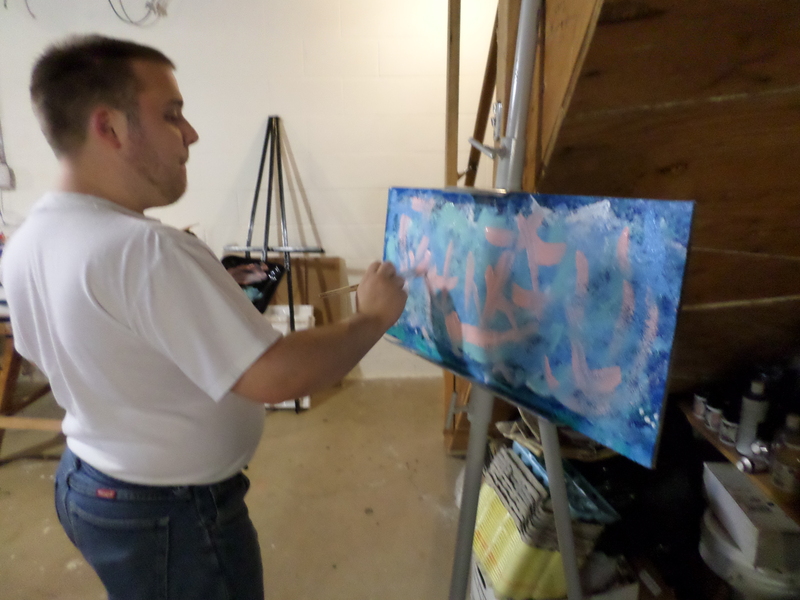 The expressive painting class was very successful this summer. 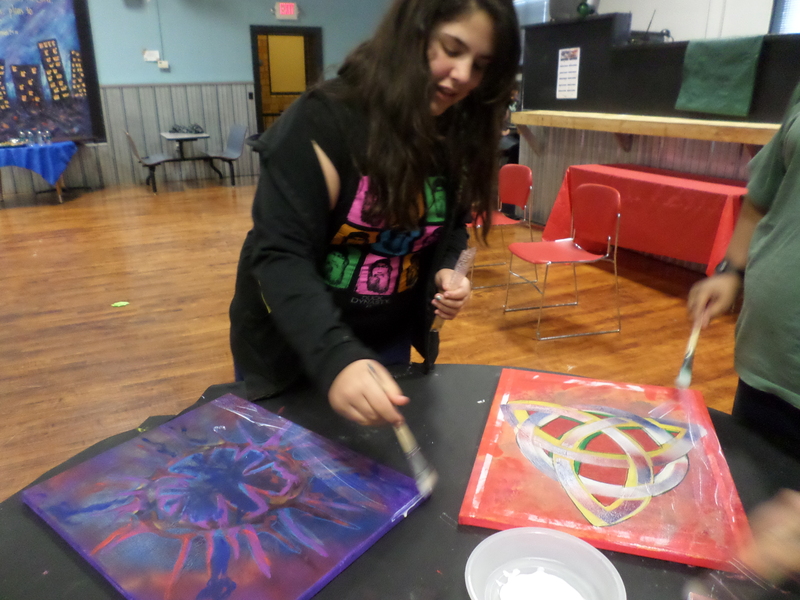 All of the participants were very motivated to explore and complete their paintings. 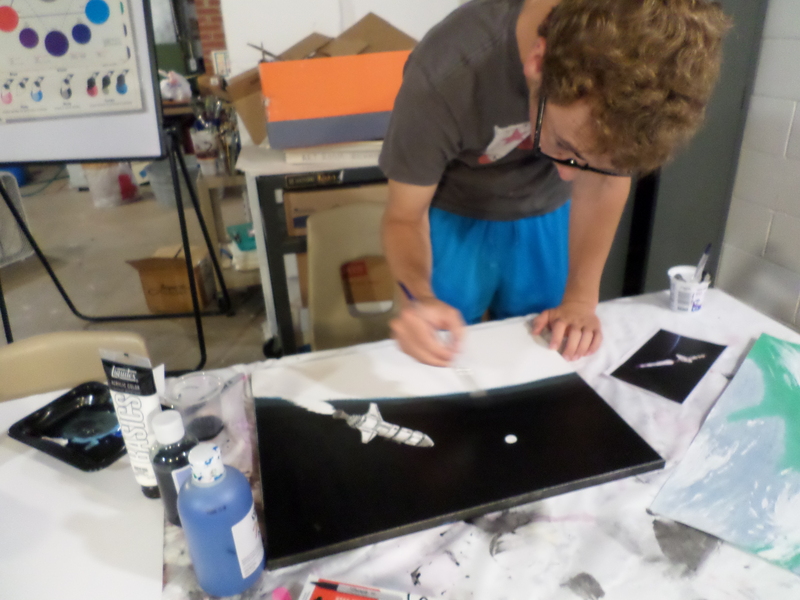 Everyone had a different idea and method as they approached their project. 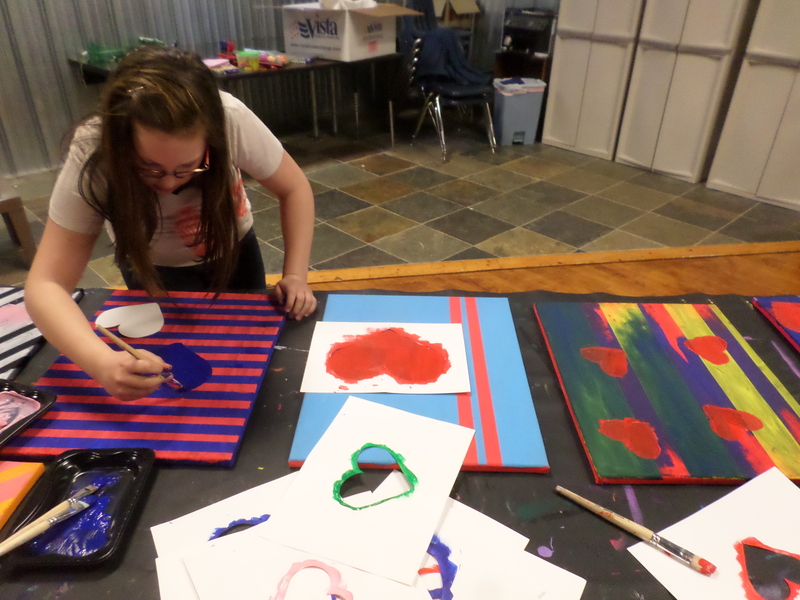 Some completed their paintings while others were still in the process, but everyone grew in their skill and knowledge in the creative process. 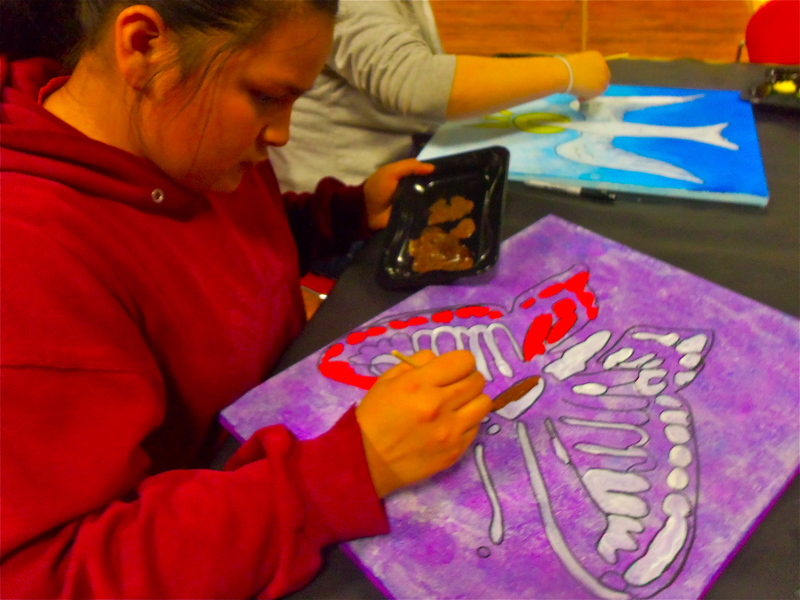 Maybe you can join us for our next painting class! 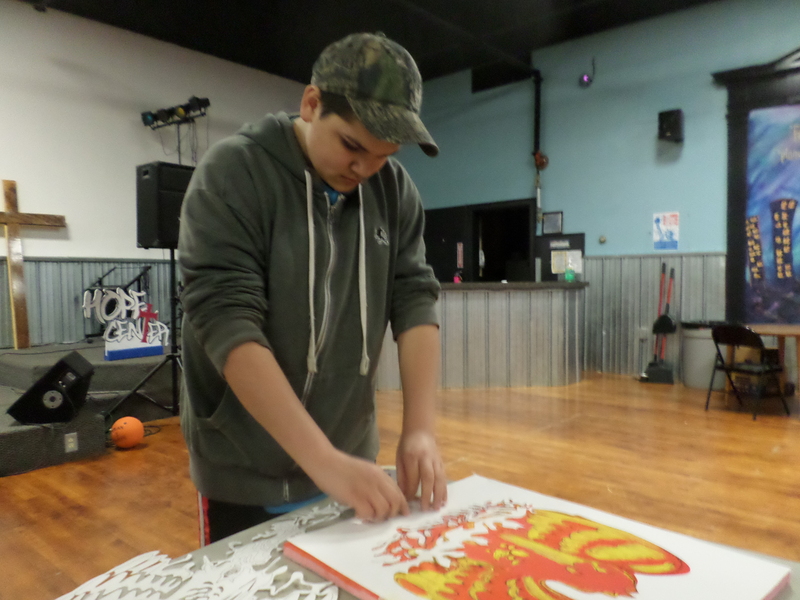 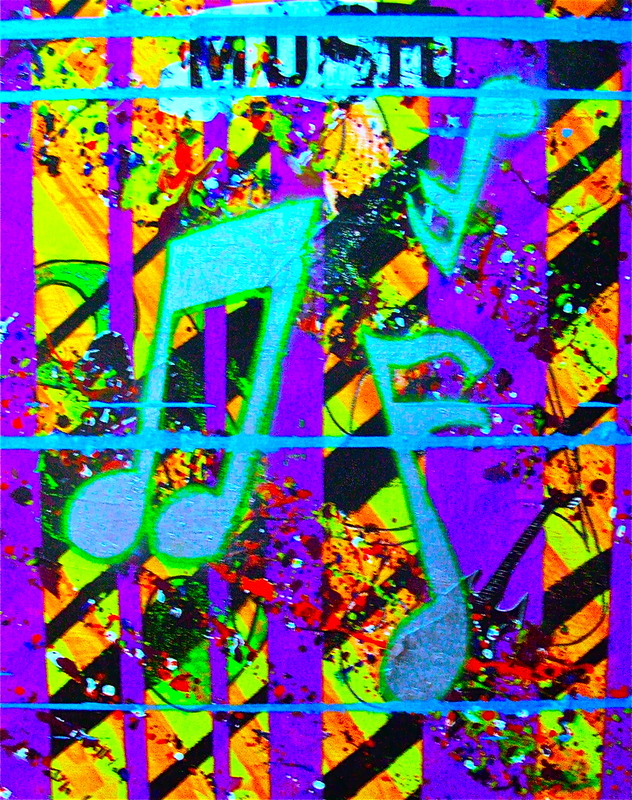 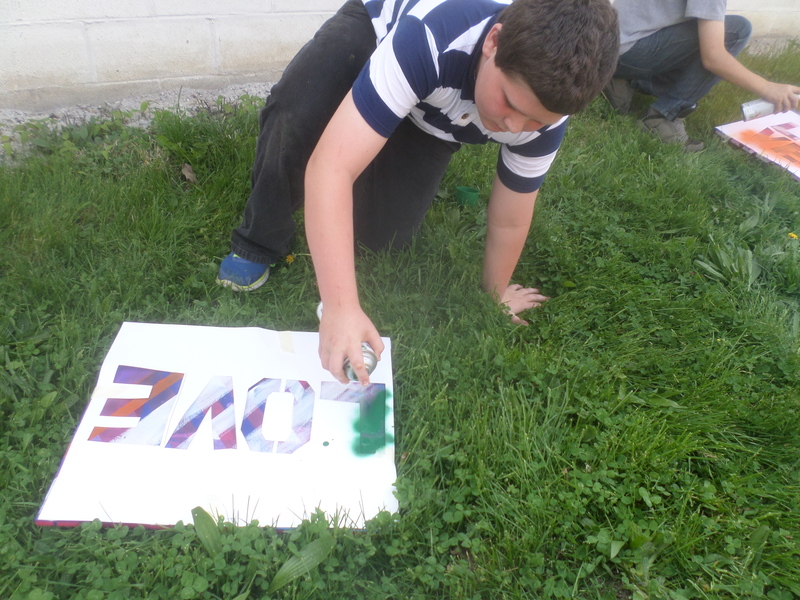 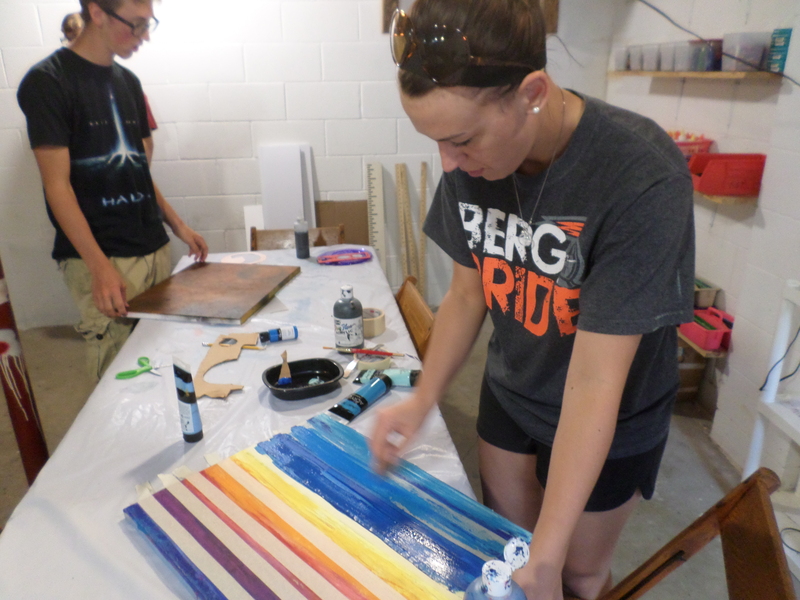 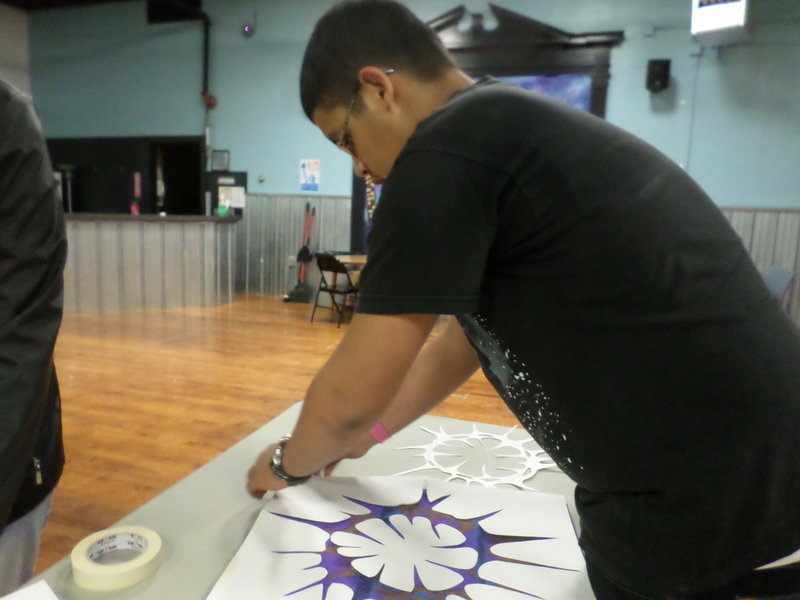 Students at the Willard Hope Center explored adding spray paint to their paintings recently. 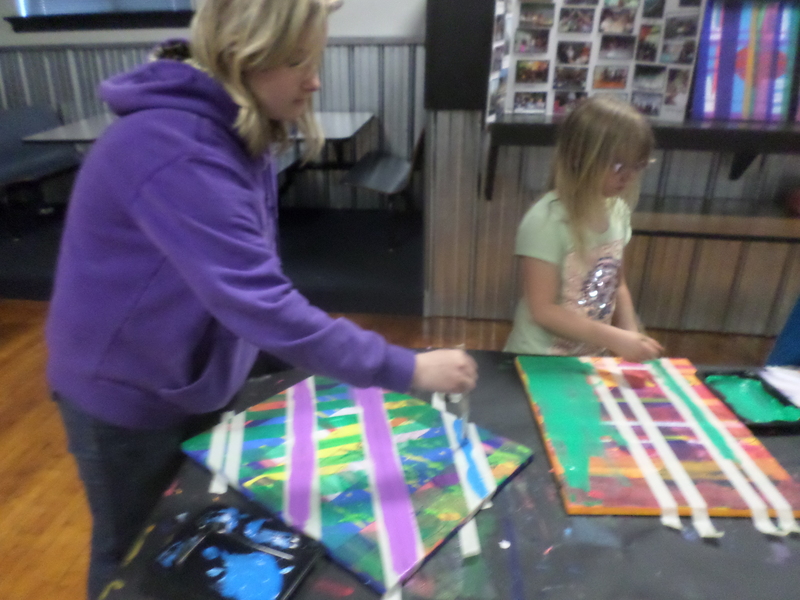 Everyone added stencils to the paintings they have been working on and then their favorite color of paint. 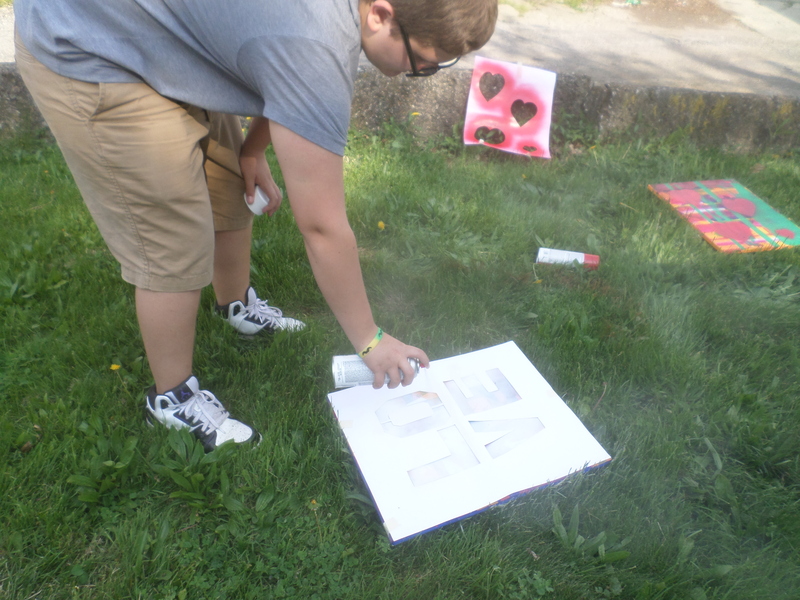 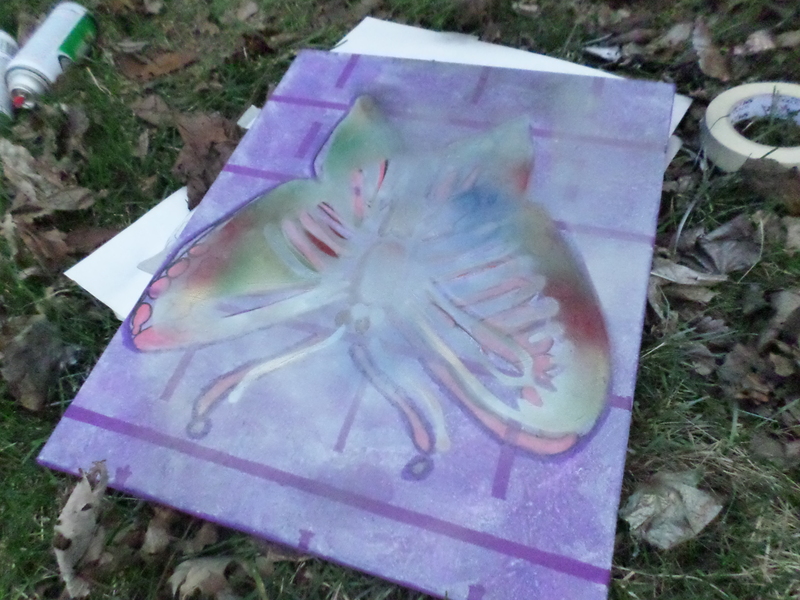 Learning to use spray paint was much harder than it seemed to the students. 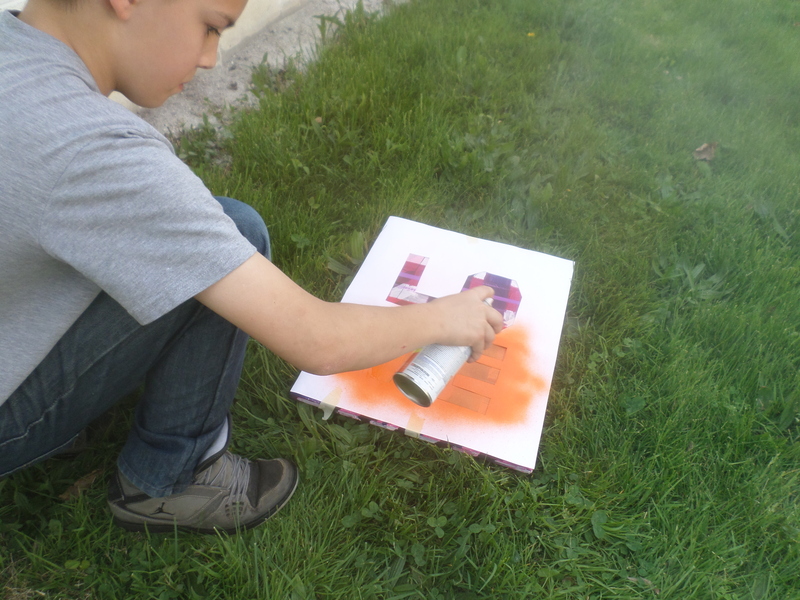 Students really enjoyed the process of spray painting. 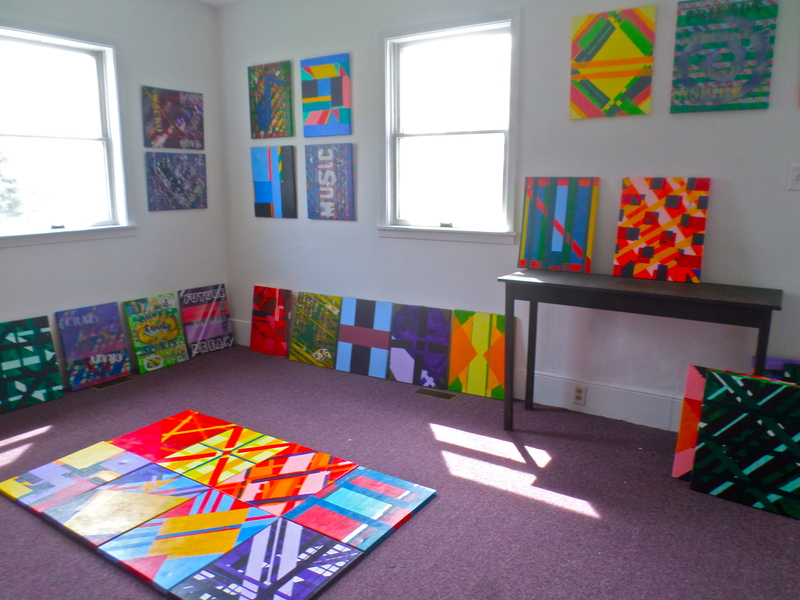 Here are some examples of the paintings. 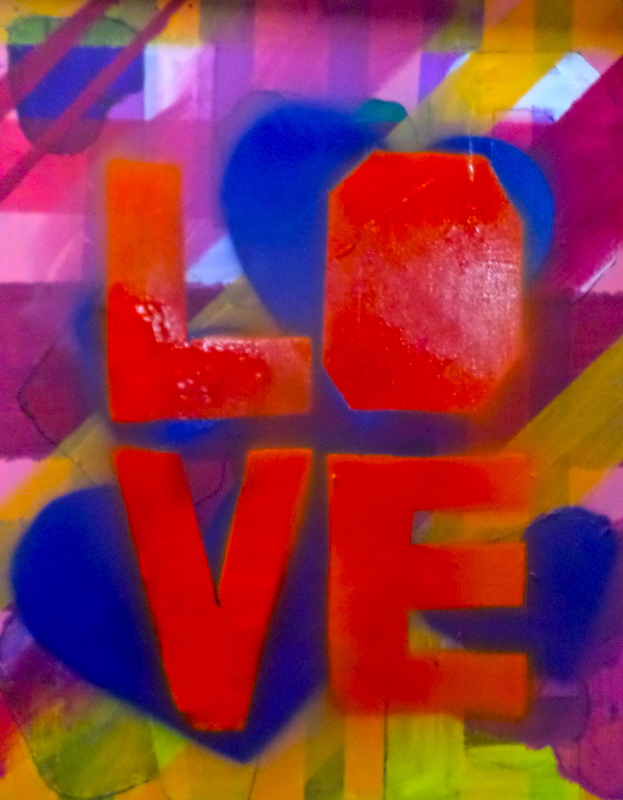 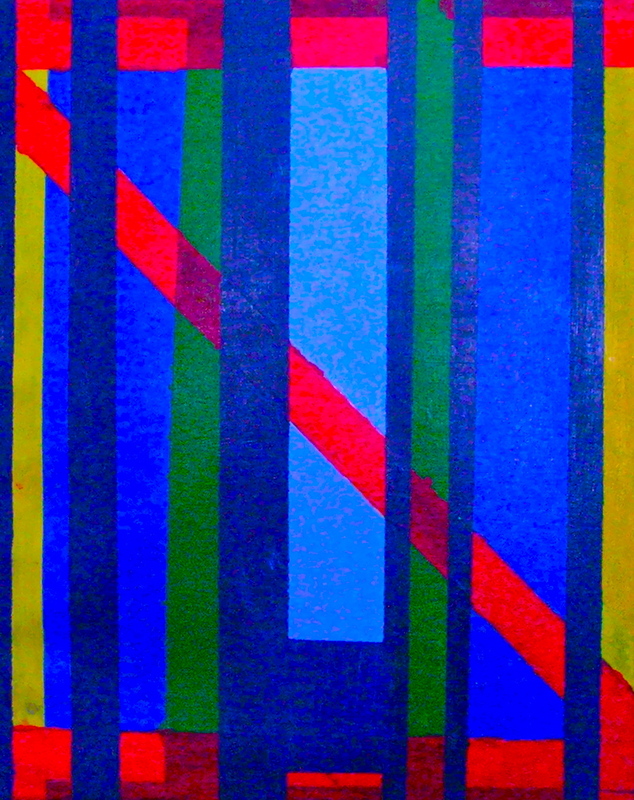 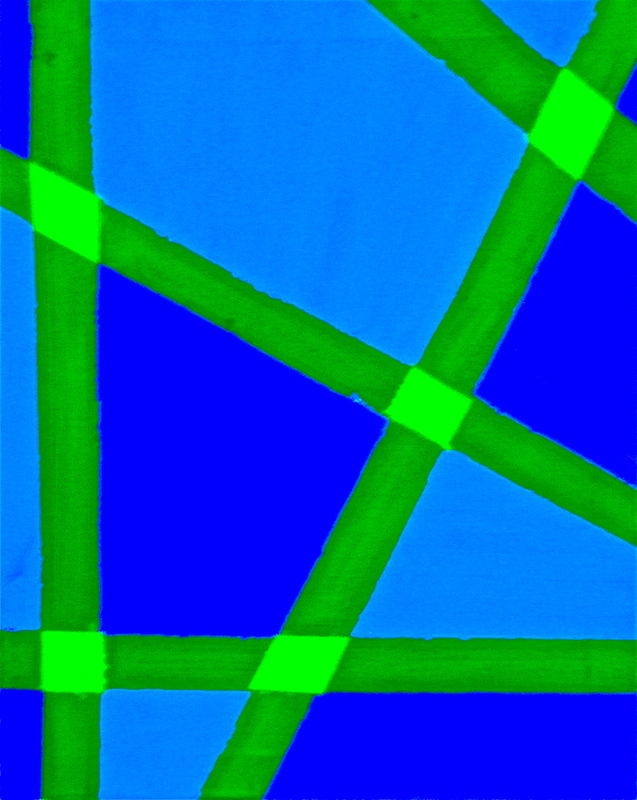 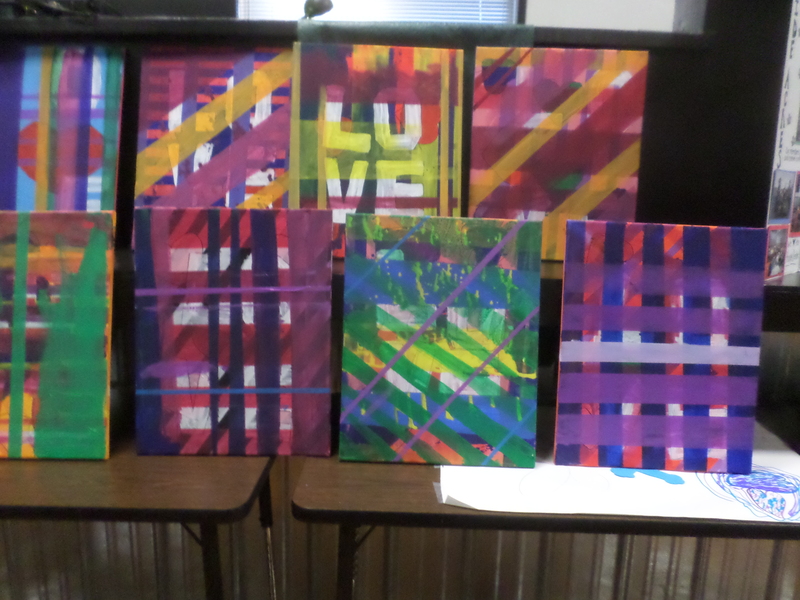 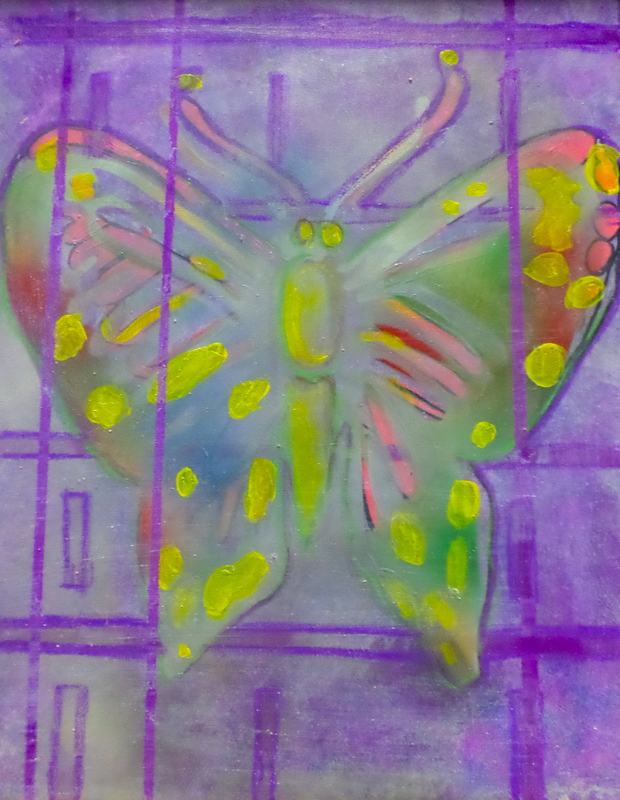 Hope Center members added more color and lines to their love paintings recently. 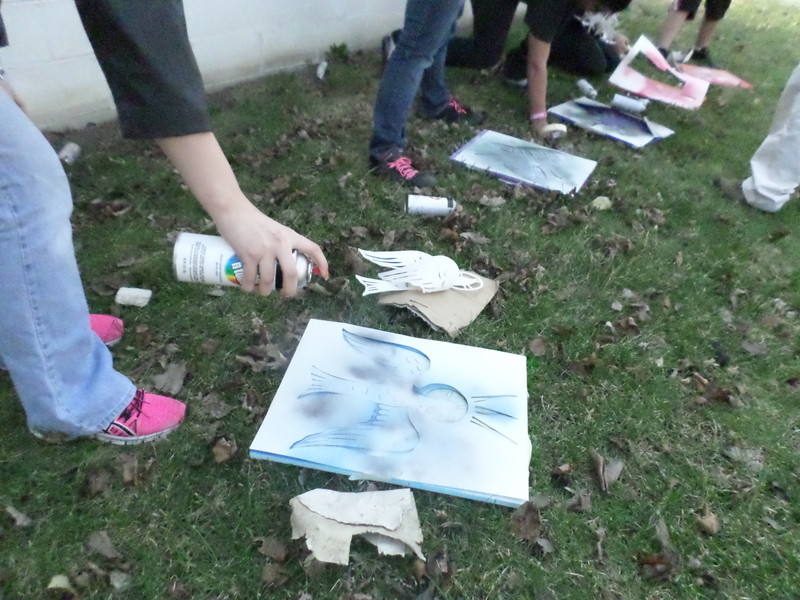 Everyone actively added more to their images as we prepared final layers of color before spray-painting the paintings. 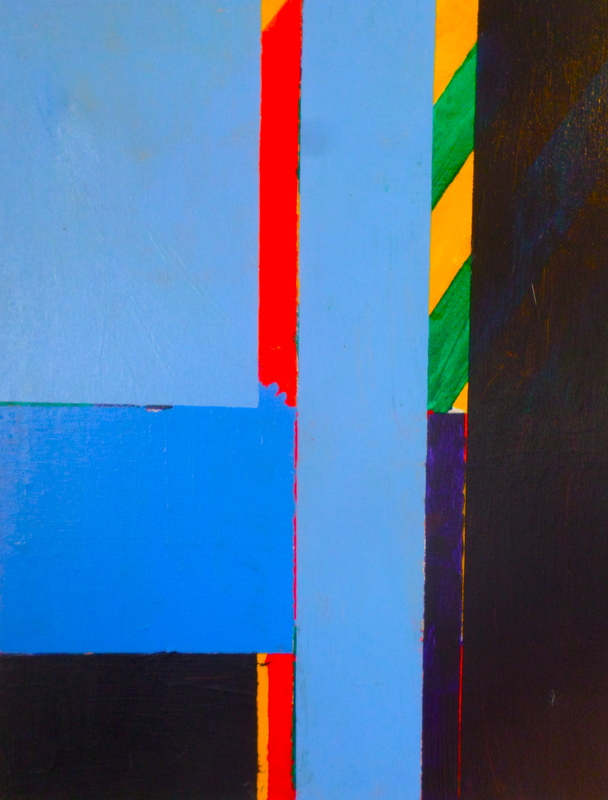 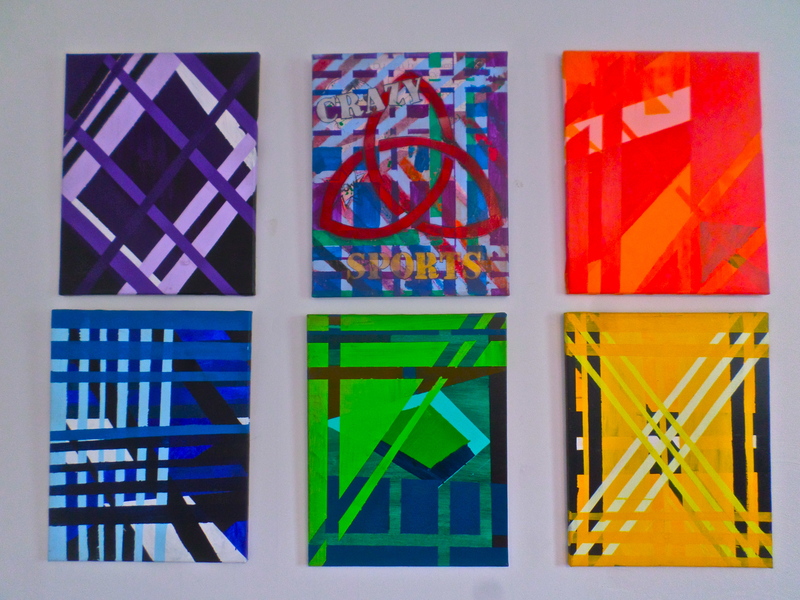 Here are some examples of the paintings and the process they are currently in. 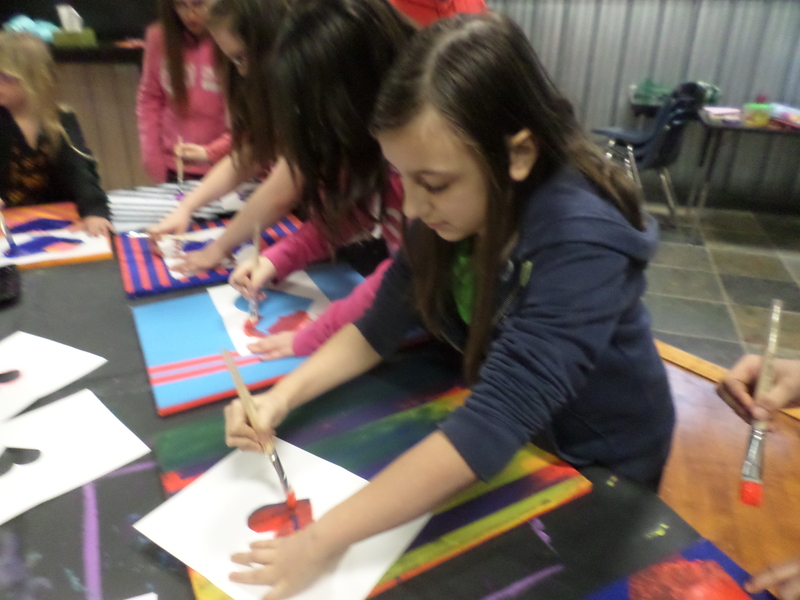 The students really enjoy the painting process. 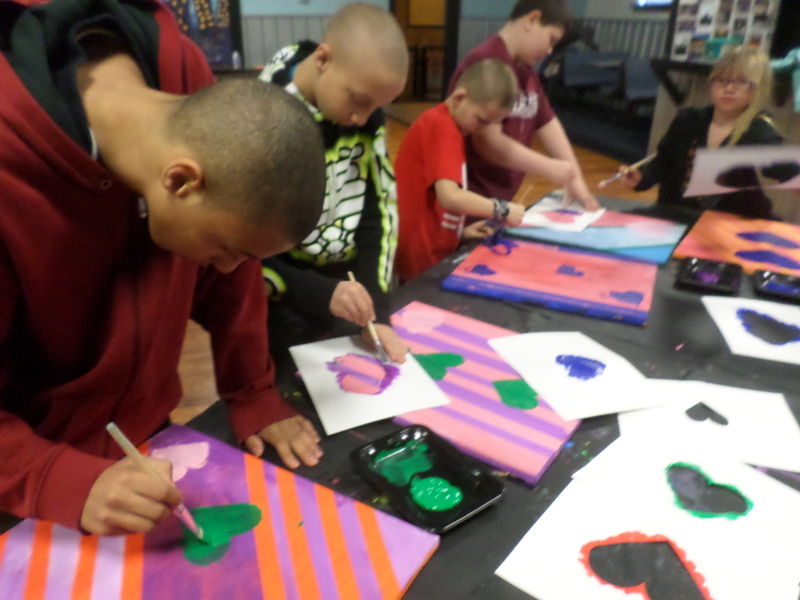 Students at the Willard Hope Center began adding hearts to their paintings recently. 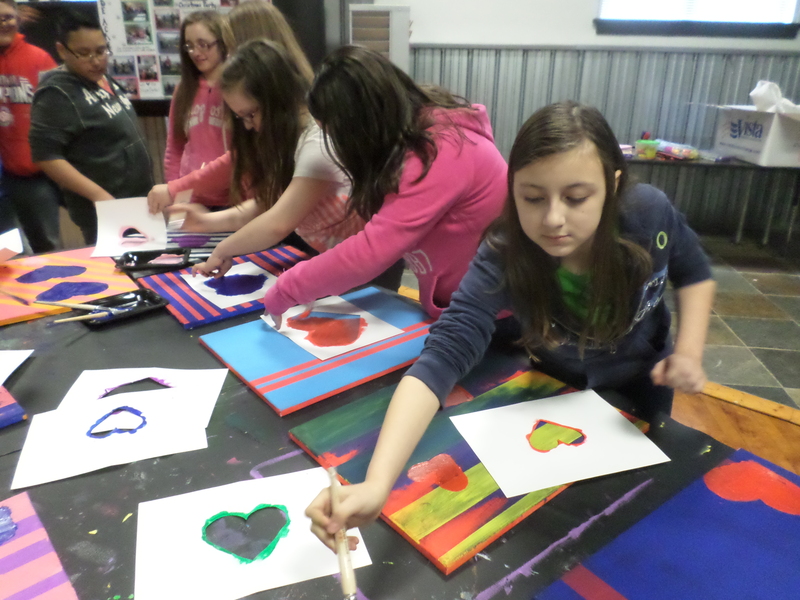 Everyone worked on adding various colors of hearts to their images. 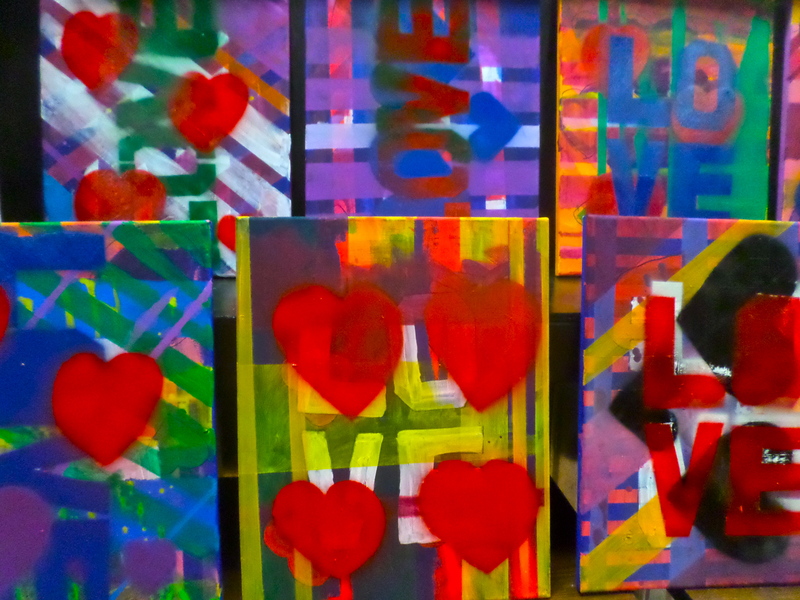 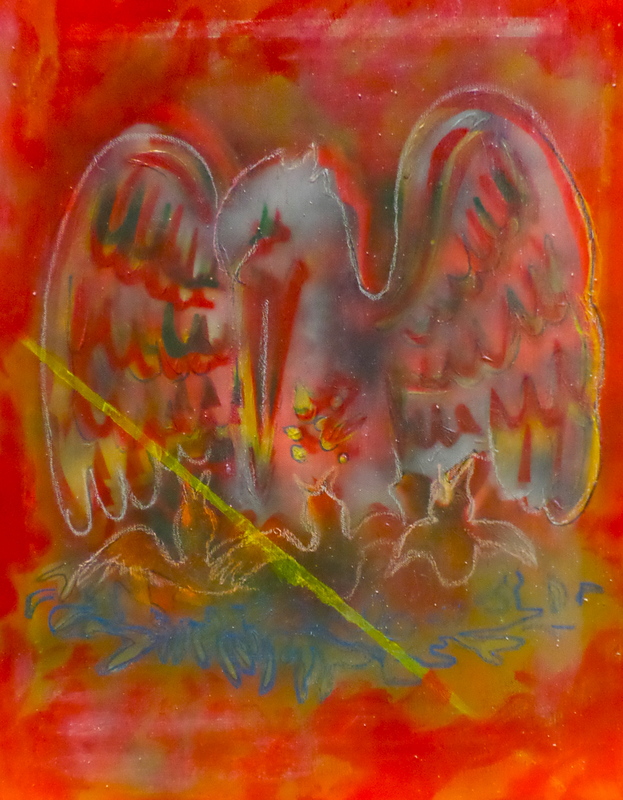 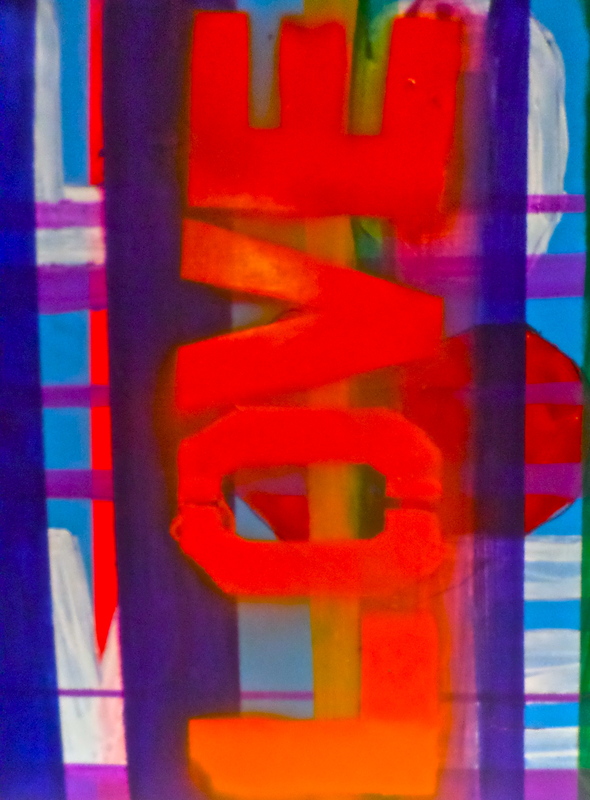 The theme of the paintings this year is love, and we began with some symbols of the word. 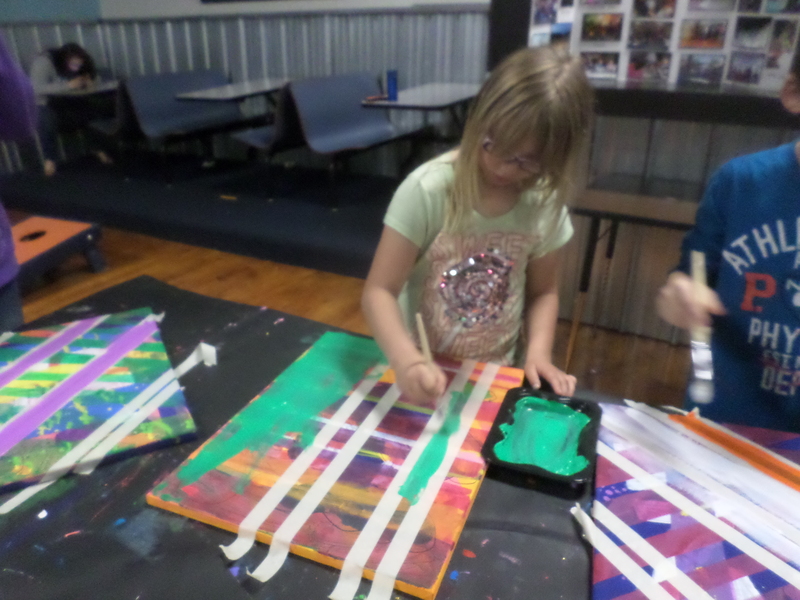 Everyone enjoyed the process of adding this third layer to their canvases. 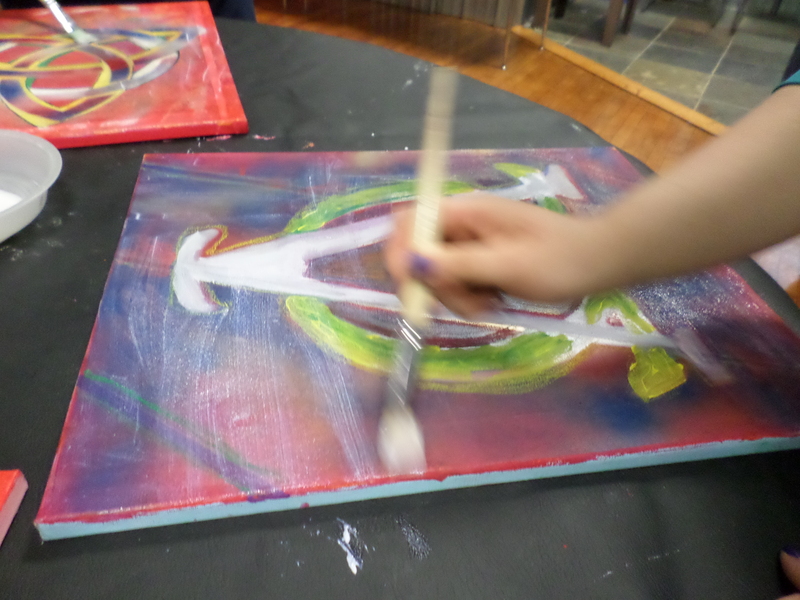 This session found all of the students very active and engaged in the art-making process. 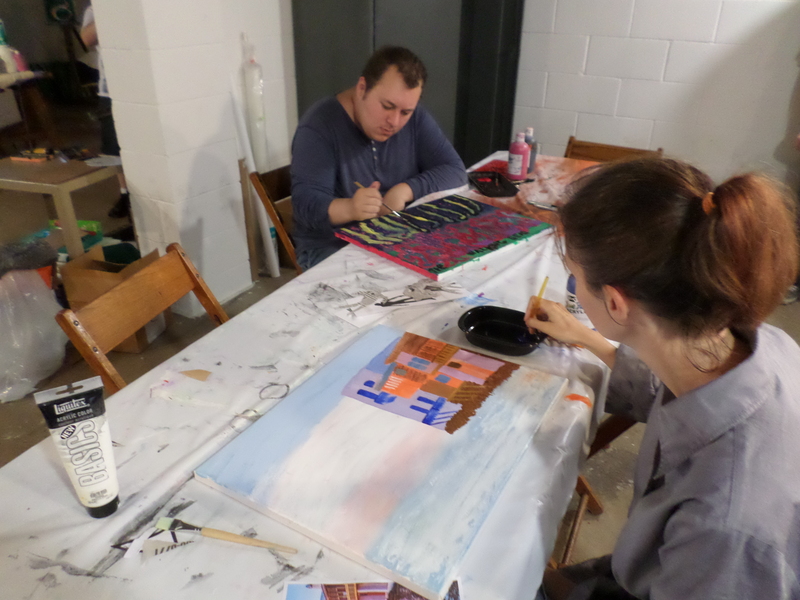 Week 6 and our final painting class. 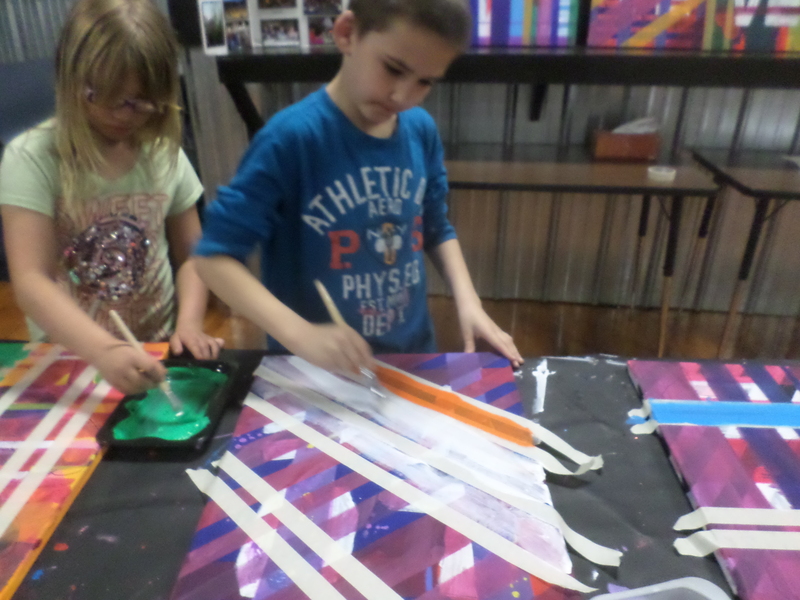 Everyone was busy adding finishing touches to their paintings. 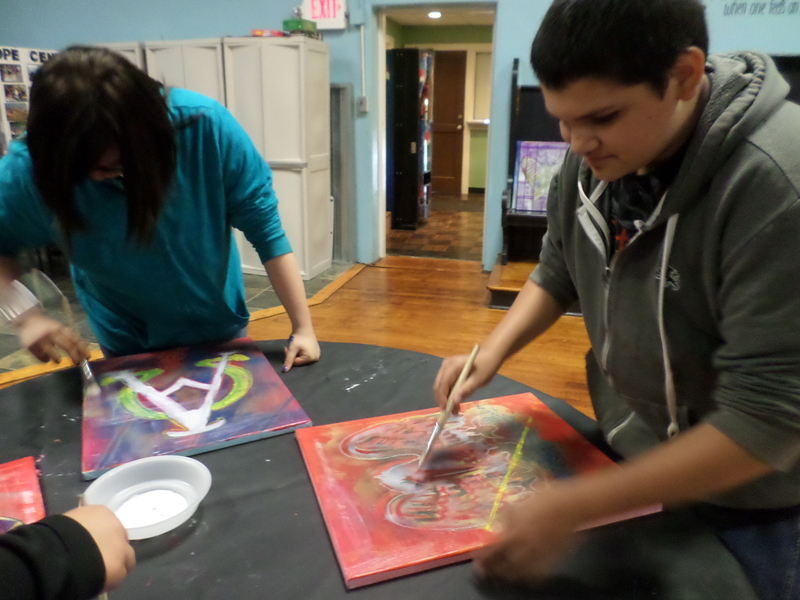 Everyone was focused on the creative process. 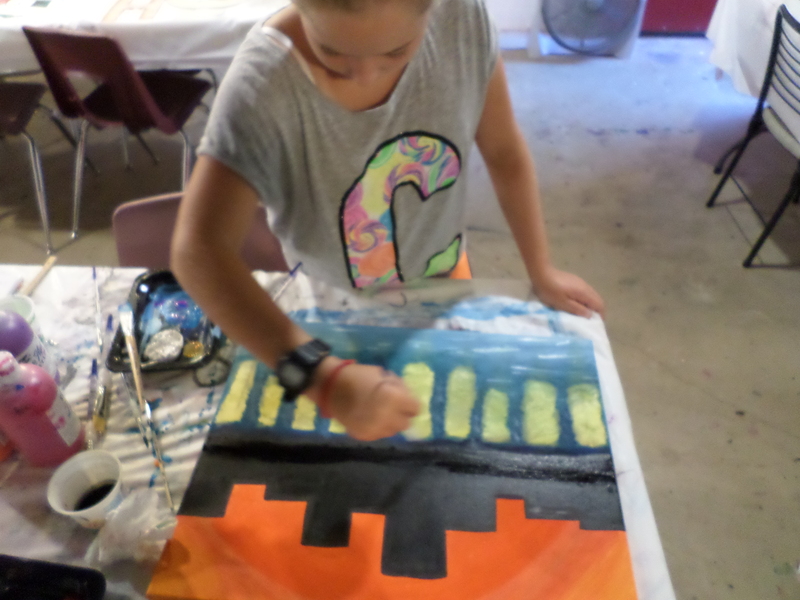 It was hard to find a point to end as we came to a close on this summer painting experience. 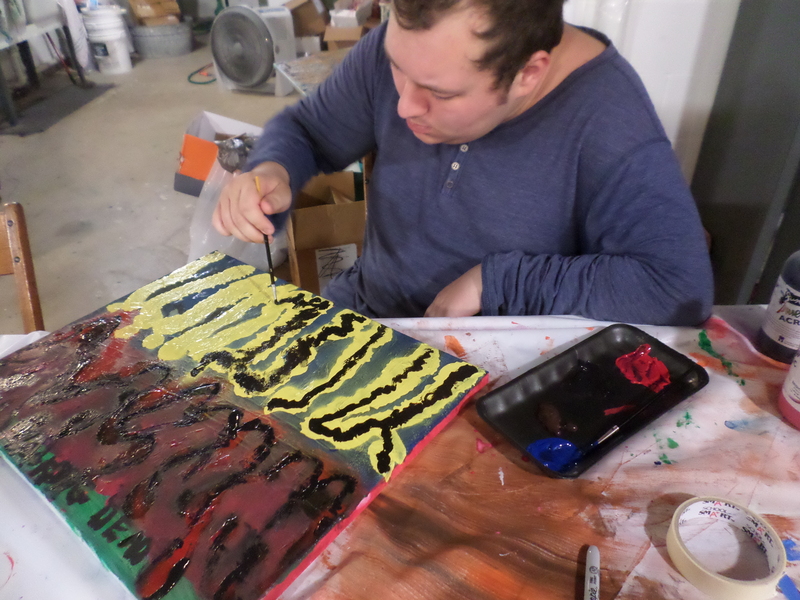 Some came to a completion on their work while others found a beginning and a desire to continue their artistic journey. 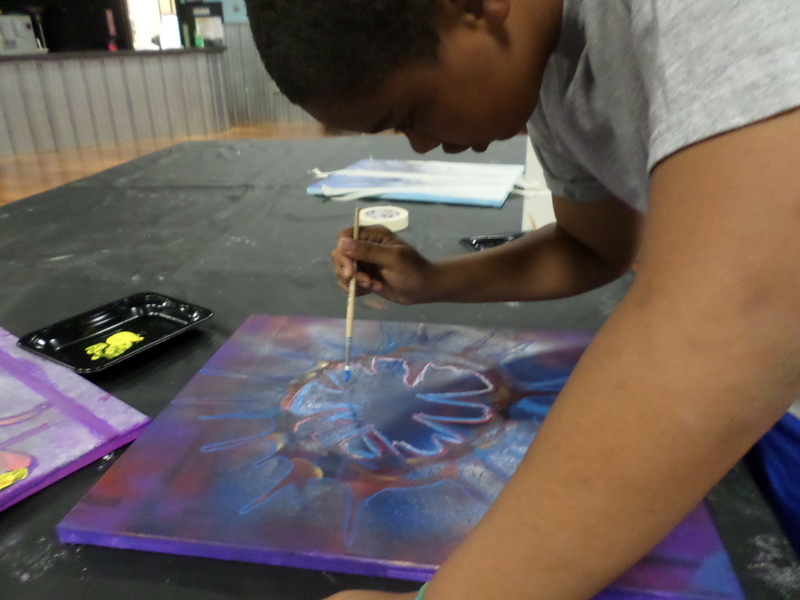 Maybe you can join us for our fall classes and workshops! 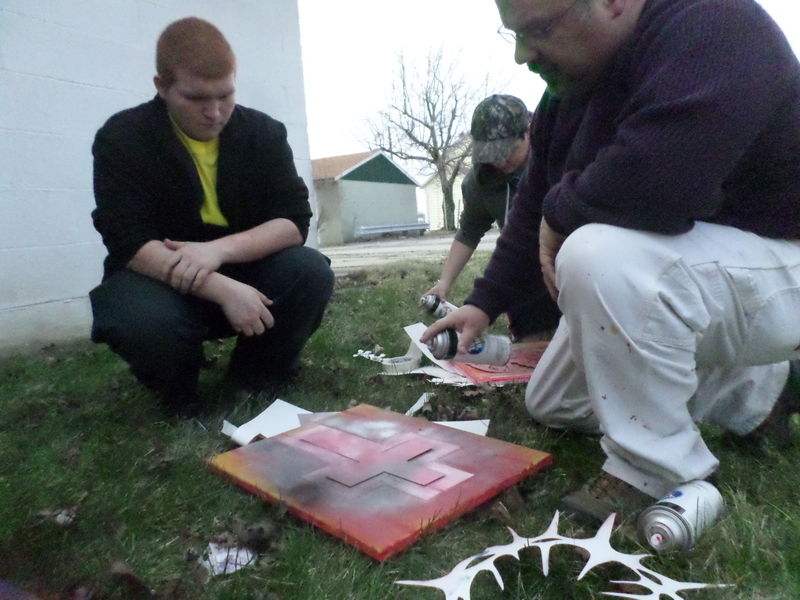 We have an on-going painting project at the Willard Hope Center with the student members. 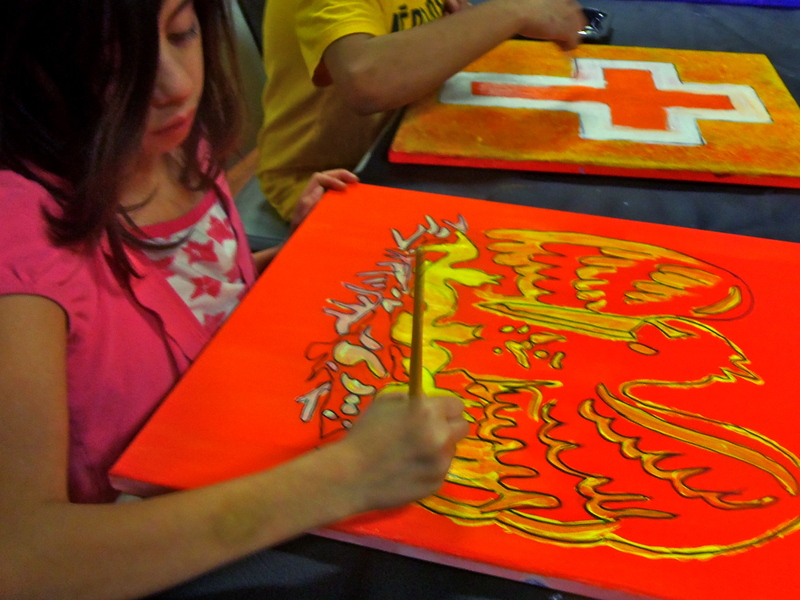 Students are creating paintings based upon symbols of the Christian church. 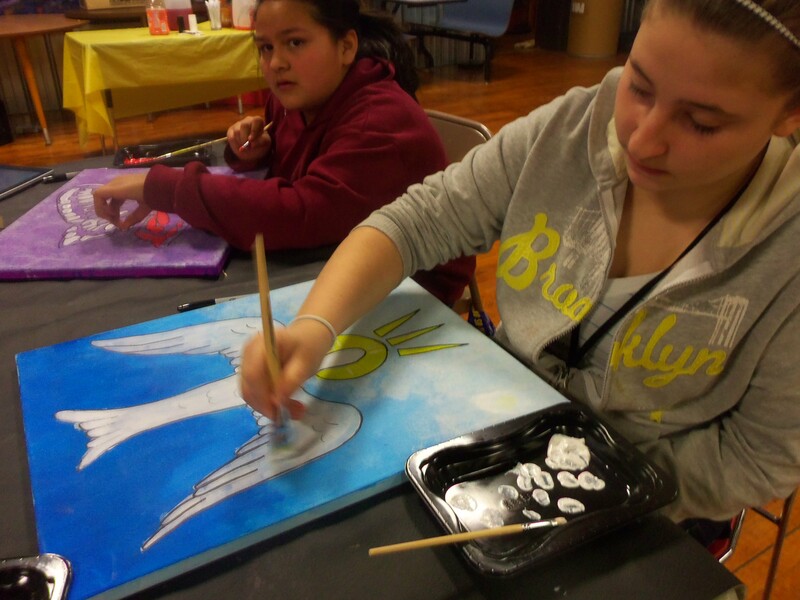 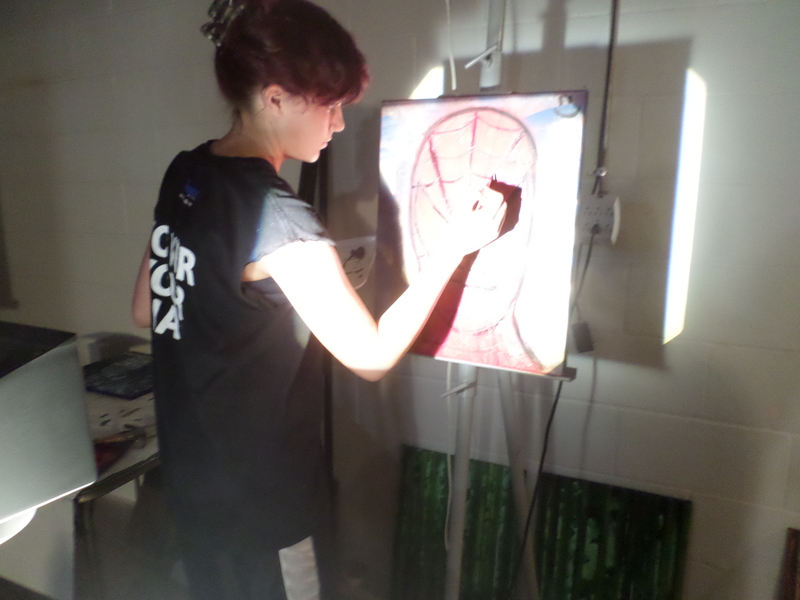 We have had different students working each session on the paintings, and it has really become a community project. 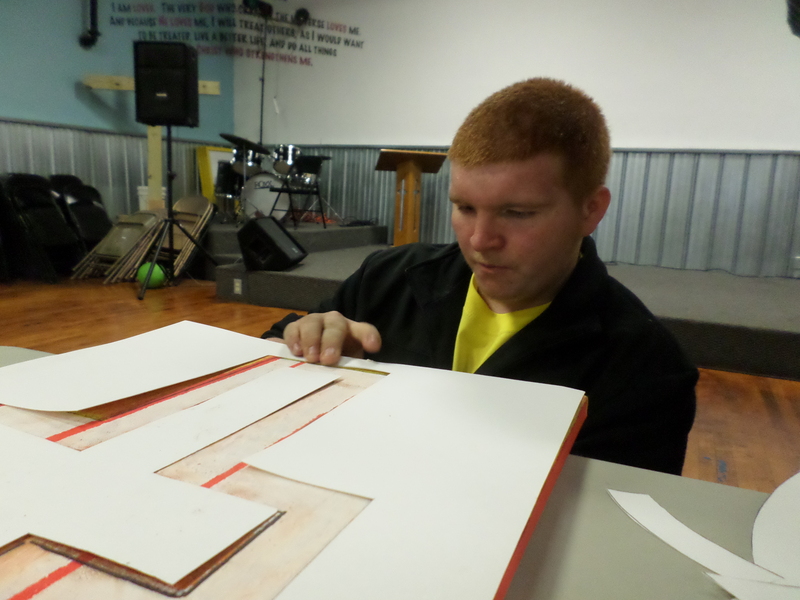 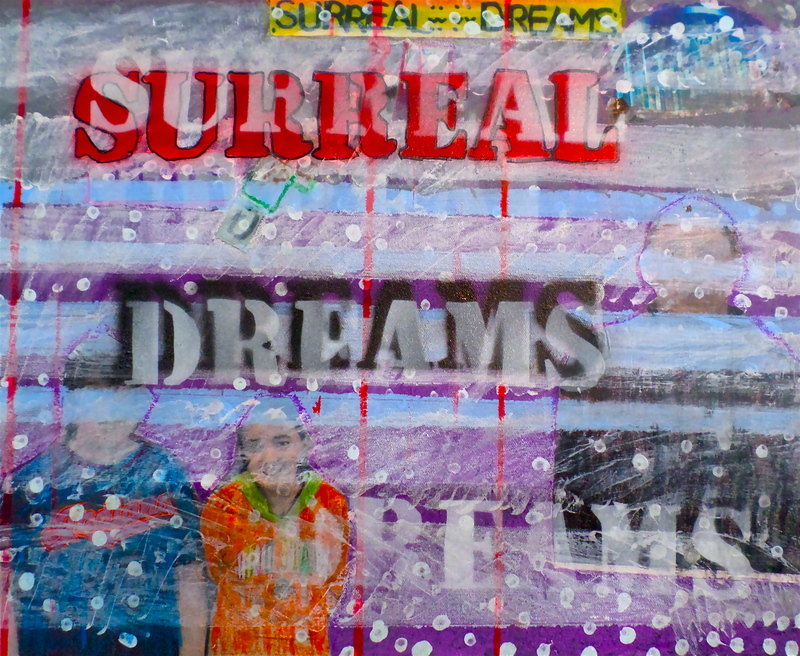 Students are learning about their own abilities as they step out in faith to push their artistic skills in new areas. 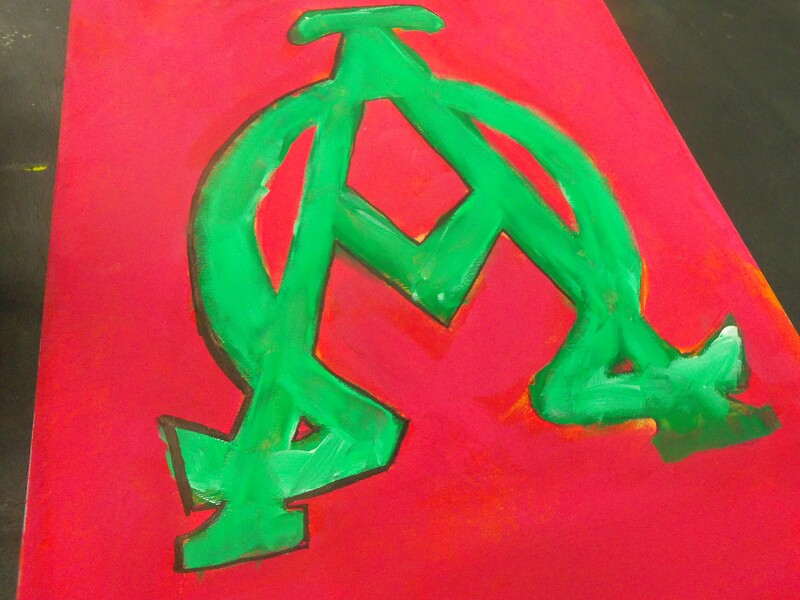 Students are also learning about symbols of the church and how they tell a story. 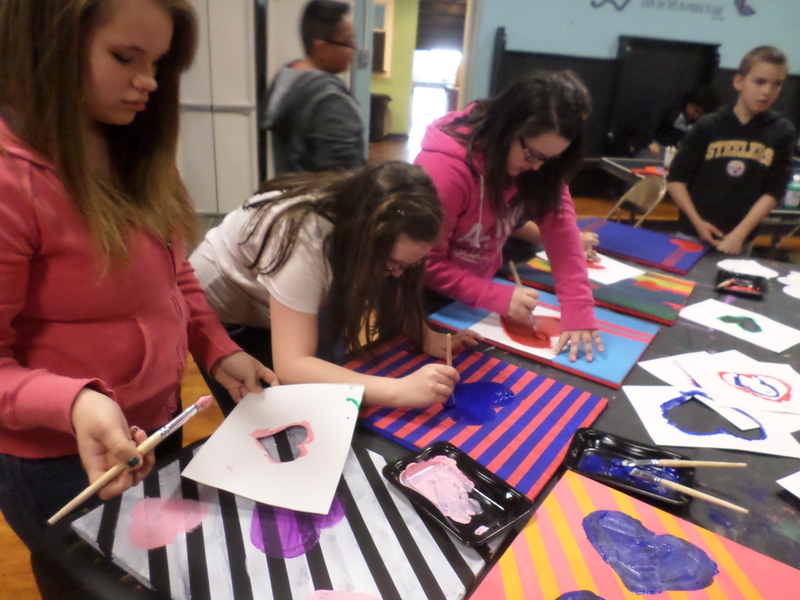 Their artwork will be on sale this spring to help support the work of the Hope Center.